Twin Flame Journey: Year 13 AKA Year of the 4’s…. I did turn 40 this year and 4’s have been EVERYWHERE. It has been 13 years since my awareness of "something" shifting me to wake up (awakening #1). The contrast has been showing up everywhere in the process of letting go. What does each look like and why is it so important right now? 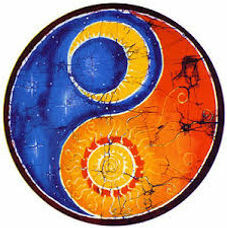 I think it has to do with coming into balance/union with myself. This is my experience, of course, so take what resonates for you and toss the rest. 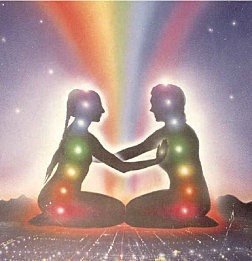 1) Intuitively driven and the drive to move forward comes from intuition, joy, passion, and solely from within. 2) Slow and deliberate and takes into account things that come up creating flexibility and flow. 3) It’s ok to have feelings and thoughts that seem to conflict with my goals. Accepting myself and where I am at helps me to let go of resistance. Maybe there is more to learn from feelings/thoughts that are coming up. Maybe I’m still moving too fast and need to be in this space for some unknown (to me) reason. 4) It’s ok that some days I give effort of only 80% and other days 99%. I am not a machine and taking time to honor myself is important. 5) It’s ok to make “mistakes” which are really learning opportunities. 6) Takes into account self care and balance. 7) Taking time to connect with others feels good and I attract those who nurture and support me (and I give the same to them). 1) More outwardly focused in that I take on others opinions more and am generally in fight or flight attempting to achieve some goal. I even suppose this is where the voice of my ego is loudest, telling me I am not enough and I am not doing enough. 2) Very rigid goals where everything must happen in a certain order and by a certain time. 3) I must not dwell on thoughts and feelings that conflict with my goals because that will distract me from what I am trying to achieve. This doesn’t take into account that sometimes things change. Pushing myself seems synonymous to being rigid. 4) I must give 100% all the time or I won’t reach my goal. 5) I am not allowed to screw up and must “be perfect. 6) Feels stressful because when I’m not doing or creating I feel guilty and think I am lazy. 7) I have no time to connect with others because goals are more important. Take the above with a grain of *wounded place* salt because if all parts were fully healed they may not come across so ...I don't know...nurturing vs. demanding and abusive. Maybe that's the key for what needs healed next in my heart. Maybe I need to step into the wounded masculine within. I once felt shamed by one of my spiritual teachers when I said I was doing what I felt like doing to reach my goals. She taunted "how's that going for you?" and then scoffed at me. At the time I felt very confused with how to balance my beast- mode work ethic so that I didn't feel the need to drink to relax (because I'd easily reach burn out that way). Looking back I realize that, for me, I was doing exactly what I needed to be doing in an attempt to be in balance with myself. 13 years ago I was so perplexed on how to reach my goals while at the same time letting go enough to not be a complete spazz with the amount of stress I would feel from attempting to reach my goals. Now I know, it's a matter of fine tuning my vision and doing the next steps (no matter how slow or fast), while at the same time allowing it to happen in it's own time. It's holding on enough to do the work, but letting go enough to know I can't control it all. D) I must control how this is to go. Even though I am honoring and respecting myself by not getting into an unbalanced relationship again, I still find myself, when overcome with emotions, wanting to be near someone caught in addiction and who isn’t treating me well. And wanting to communicate more right NOW. In my higher self, I can say I want to go slow and deliberate and not put myself in danger, but all fired-up—even from a distance—it’s hard for me to remain there. It felt similar in the unfortunate loop of my marriage, where instead of leaving when it felt unhealthy, I justified staying, because I thought it was all me and my brokenness and my dysfunction, which was mirrored back to me in our relationship. I thought that if I kept fixing myself, eventually, it had to get better. Alternately, I’d go the other route and throw myself into attempting to “fix” or change our relationship. I thought that maybe that would make my partner communicate more or be romantic or make an effort in our relationship. It’s the way I attempted to morph myself and others into situations that may not have been a good fit. I’m ready to stop doing that now. Really. What is pulling me? What subconscious wounds are still at work and that keep me from being okay with being alone, and rather, be in relationships with people who show me they don’t want me? The list below includes the areas I have considered and worked on over the last months. It’s a pretty good start to make a list for when you find yourself having a hard time letting go of a person or situation. 1) What is your attachment style? This would be the initial attachment style you developed with whoever was your main caregiver as a newborn. Your attachment style is affected by the emotional, mental, and physical health of said caregiver. Believe it or not, if you’re anxiously attached and unaware, you may still be looking for some outside source of love to prove you’re lovable or worthy of love. 2) Am I expecting another person to do work I must do on my own? Am I looking at my partner and expecting them to parent me or give me unconditional love and approval that I sought from my parents as a child? My inner child never got it and is starving for it, so just based on DNA and lack of awareness, the knee-jerk reaction is set up to go and seek it. I must give it to myself, because no one in this world could possibly love me unconditionally. 3) What am I getting out of this remaining how it is? With every situation or person you choose to interact with, you are getting a need met, affirming unbalanced thoughts, or benefitting in some way**. 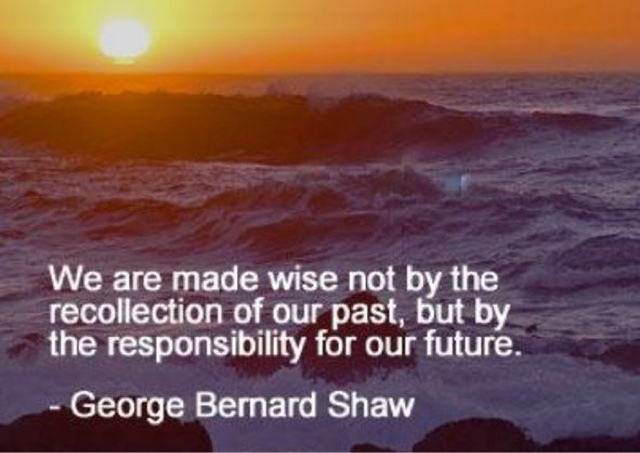 Or you are otherwise meant to learn a lesson from them and/or the situation, or you would leave it or them behind. This is mostly because life is precious, and so is time. Do you feel your time is precious, or does this situation feed your poor self-esteem? ** Please note, this does NOT include situations where one is put in danger and terrified to leave. This question is for when your physical/mental/emotional self is not in harm’s way, and you are now in a safer and more secure environment and are taking the time to reflect. 4) Am I using this person/connection to distract me from something bigger? Am I self-sabotaging? What about my life purpose and all the learnings from this that are meant for me to grow? Am I getting those lessons? Or am I distracting myself? These were powerful questions I’ve asked myself for years any time I’m feeling stuck. 5) Am I giving away my power? Am I doing this in the form of overlooking my values to please this other person so that they will love me? Am I sacrificing parts of myself? 6) Am I addicted to the drama? I can attest to this, as each time I dated a boy who didn’t treat me like dirt, I had zero interest. This was true for me from ages 10 to 21. When I look at my past, I see that my friendships/relationships were full of drama and “he said, she said.” I remember the drama addiction coming up in all my self-work over the years, but I saw a steady decline of it, so I more or less dismissed it. 7) Is codependency a factor here? Growing up in an abusive home with an abuser and codependent makes one have to consider this as a factor. I began with the book Codependent No More and have reviewed it many times over the last decade, along with many other resources—both online and in books, workshops, and through Alanon. What can I do about it? 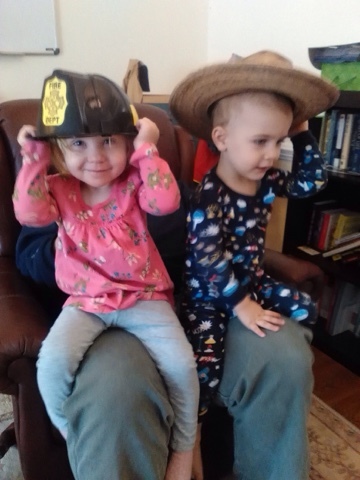 Now that I have all this wisdom about myself and am getting clear on what I do want……..
1) In short, securely attach myself the best I can as an adult. My lengthy version? Give myself love in whatever form that looks like. Be willing to listen to myself and honor, communicate, and negotiate if what I want seems to go against my values.This means that if I value self-validation, but I’m struggling in a moment and notice I’m wanting someone else who isn’t so healthy for me to validate me, then maybe the compromise could be reaching out to someone who is safe to help me feel validated (even if it is simply my therapist). Basically, I need to take the next step. Reaching out and asking for that kind of help takes strength like no other. I’ll get there on my own, but ONLY if I’m loving, accepting, and gentle with myself. 2) Change my self-talk and replace my sabotaging thoughts with positive and inspiring words that encourage me. I began meditation as a daily practice 12 years ago. That began the process of becoming aware of all the ways in which my own thoughts, at times, do not serve me. Besides actively changing my thinking, I also like to listen to podcasts or inspirational talks that resonate with love or make me laugh. It helps me to stay positive during challenging times. 3) Check in with myself daily and take plenty of time for reflection and learning from the life I’m living. What did I learn today? What did I do today to move toward my goals? It doesn’t have to be an earth-shattering thing or take up a huge part of my day. Even if it’s not a lot of progress, as long as I step in the direction of my intentional goals, I am tending to my deepest desires. 4) When intense feelings of love for any person come up, I first make sure I am filled up, and as long as it’s genuine, I send energy to those I love. And at times, I allow it to inspire my writings, ideas for future creative pursuits, or get out my tarot cards and allow my higher self to guide my energy and actions. Feelings are there for a reason and are meant for us to listen to them and hold space for ourselves (or with another if that’s where you are in your journey). 5) Continue to develop healthy connections and attach to those who are secure. Do it over time and in a way that feels comfortable to all parties. This is a work in progress. 6) Remind myself that by not letting go of this person/situation, I am blocking a potential “new” person/situation from coming in. By holding on, I could be hindering us both. 7) Remind myself that learning and life and undoing and redoing are processes that don’t provide immediate results. As I become aware of how to do better, I do. I give myself a break and know I’m doing the best I can and intentionally am not hard on myself. For too many years, I stayed stuck in the abuse cycle, because I was abusing myself. I was addicted not just to the highs—but also to the lows. 8) Daily meditations to call back my power/energies from all the places, people, and situations that no longer serve the highest and greatest good. 9) Forgiveness works for myself and others through Loving Kindness meditations. This is to let go of the emotions I am holding onto that no longer serve the highest and greatest good for myself and for that person. Letting go is a process and I’m not afraid to admit it’s taken me since November (now April and also a year to the date this began) to finally get to the point where I am now. I had a lot to learn from this situation and the outcome is I am loving myself more fully and more actively than ever before. I release the need to control how anything is going to go. I will enforce boundaries to protect myself. No more allowing myself to disillusioned by my unmet needs because I am filling my own cup…. I really feel my last lesson to end this cycle is to choose to walk away from abuse even though my heart is screaming for me to connect with him. I realized just now I’ve never done that before. I’ve never been strong enough to walk away while I still felt the intense feelings. I will continue thriving and loving my son, my life, and myself the best way I know how. What, you say? What on earth does a cow have to do with a narcissist parent? And why should anyone care how the two are related? I am finding myself in a place of great insight right now about how my narcissist father impacted my life and the lessons from him taught me how to love myself and others even more. Weird I know, and going into that here and now is not the time as I am still sorting through the patterns. 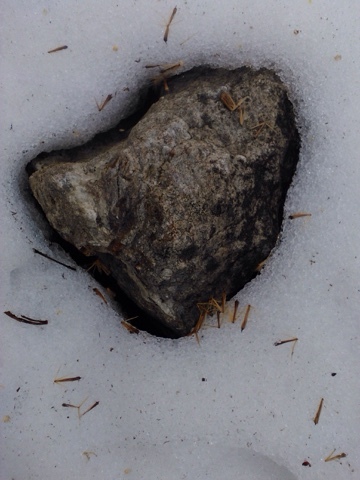 I was on a walk today and took some pictures of beautiful items that caught my eye. As I was playing with one of the photos in my editor I saw, clear as anything, a cows face. Have you ever heard of animal spirits, totems, or animal symbolism? Many cultures have their own version depicting qualities of animals and how they communicate information to those who can animal (or nature) speak. I have been fascinated with this for years and found many of the animals who "speak" to me show me new information about where I am in my growth or on my spiritual path. Among gentleness, feminine energy, fertility, and new beginnings (all of which are themes I can pick up in other areas right now) I found written "New beginnings are also an appropriate theme associated with cows in conjunction with their maternal auras. Through their pregnancy, birth, nourishment to their offspring, and ultimate bodily gifts, cows show the entire life cycle in its bittersweet beauty from start to finish." I'm grateful for rest, which resulted in some serious crazy play time and serious "soul work" time after my babe went to bed. Love full days like this!!! I wrote and I read and made notes, and on fire once again with passion for my purpose. Love exploring new philosophies and writing. Writing forces deeper understanding and processing, but also possible more exposure. That's terrifying when I've lived most of my life not sharing my internal process or feelings. I'm grateful for this chapter. I'm grateful for putting new ideas into practice. Being vulnerable...in small degrees rather than the extremely open or closed off I am accustomed to. I'm grateful for loving to cook and finding new tastes and pleasures that also nourish my body. I'm grateful for choosing to move slow as I feel anxiety and stress coming up regarding what direction to move in with writing. To me, that signifies the need to slow down and be even more deliberate about what I'm doing. 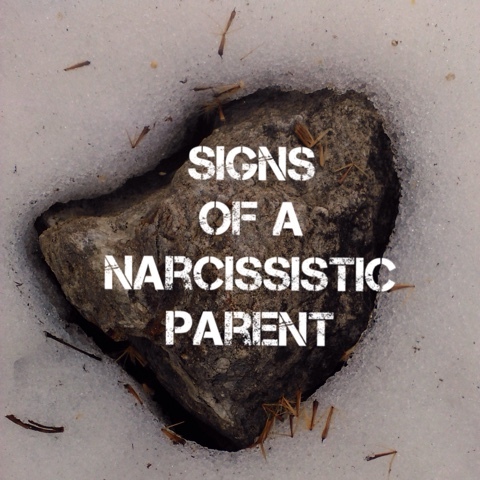 What Does A Narcissistic Parent Look Like? Before hearing the term, I thought what I experienced growing up was *just* emotional and mental abuse with a touch of physical abuse thrown in. Discovering the term "narcissistic parent" was eye opening because it occurred to me that it described my father completely and it helped me to understand the crazy thoughts going through my head relating to my own son. I am so thankful I have not acted out the abuse I endured on my son. The relationship with my husband, on the other hand, has been the stomping ground for working out all the dysfunctional debris leftover from childhood. I am both grateful (that we've grown so much as a couple and that he can hold space for me to the point where I can FINALLY hold space for him) and horrified at what we've done and said to eachother over the years. The thoughts that go through my head feel like a battle inside that I am overcoming one word at a time. Because of these thoughts I recognize what my father must have been thinking about himself and us, even if on a subconscious level, and I feel compassion for him. Sometimes. It's a struggle, but it's the same compassion I struggle to find for myself. The thoughts echo "how could you be so selfish?" "Who do you think you are?" "You're so needy and annoying". "What about me and my needs?" At the same time I can relate to how my Dad must have felt, I feel sad for the little girl (me) who had one seriously abusive parent and an extremely neglectful one who didn't protect me from the abuser and who did nothing to help me cope (you can't teach what you don't know yourself). I feel sad for my son because he doesn't deserve a Mom who is battling these thoughts, knowing where they come from and having emotional reactions to them at inappropriate times. He may never hear the harsh words, but knowing what we do about energy, he can certainly feel the energy. It is because of my son that I am beginning to shed light on my darkest areas by sharing here. The only way to really change is to find the root and expose it, look at it, and intentionally make changes until it becomes second nature. For me, slowing down is necessary. It's when I become stressed and do not use my coping skills or move so fast that there is no time to practice my coping skills that my thoughts spin wildly out of control. 1. Pitting you and sibling against one another, one of you is the Golden Child and one is the Scape Goat. Oddly, the roles can be changed. Or have you noticed you and your sibling argue, especially when around narcissistic parent? 2. You consider what your parent thinks when making decisions for yourself or you rely on what they think to determine if something is good for you or not. Or every decision you make for yourself is questioned by them and you get put down for any decision they don't approve of. 3. Feeling resentful and angry towards your parent, but having a hard time putting your finger on why. Their manipulation can be so covert, it's not easy to detect or describe. 4. Your parent must take center stage in your life. If you're not spending time with them they complain. If your visits aren't long enough, they complain. If you don't call often enough, they complain. Not only do they complain, they become demanding in their needs and wants without any care or concern for yours. 5. They constantly tell you how they "gave up or lived their life for you!" So, you owe them. 6. They don't take ownership of their feelings or any actions they've done that may have hurt you. As a matter of fact, you caused the problem because you were too difficult or not understanding enough. Abusers don't know how to take ownership....it's always someone else's fault. 7. In the eyes of the parent, your needs don't matter. Only theirs does and they make that very clear. Everyday example: when it comes to spending time with them it's on their terms, their preferred location, and at the time that suits them. 1. Giving you the cold shoulder or silent treatment and you're not sure why. 2. Leaving you out of family events. 3. Only showing up in your life when they have a new partner and contact may be made by the new party (it's possible they've told the new partner they've no idea why their kids don't talk to them and the loving new partner wants to help). 4. Only giving affection when you behave the way they want. Does this sound familiar to you? Do your parents do any of the above or do you hear yourself talking this way to your children? I'm grateful my Mom entrusted her feet to my care. Since cutting Alex's toenails and nails I find I'm quite good at doing pedicures and I enjoy helping to ground the body for myself and others. I'm grateful for good books. 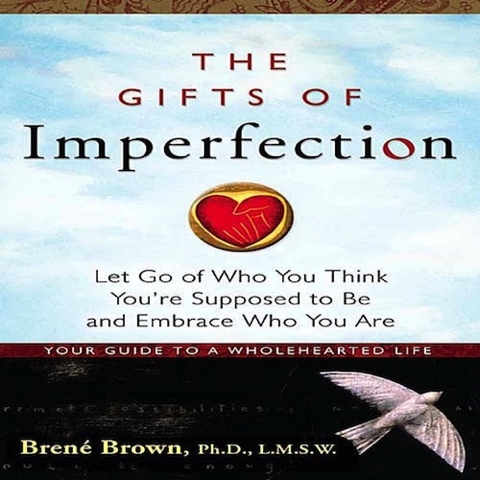 I'm current reading Gifts of Imperfection by Brene Brown and Natural Child. And for circle play time with the kids this morning. 2 year olds are so fun!!!!!! I'm grateful for "me time"- lunches out with new friends and the energetic whirlwind I don't quite understand yet. I am paying attention though. I'm grateful for a massage and energy session and for basically being told to just relax and enjoy myself today. I napped off and on most of the day.